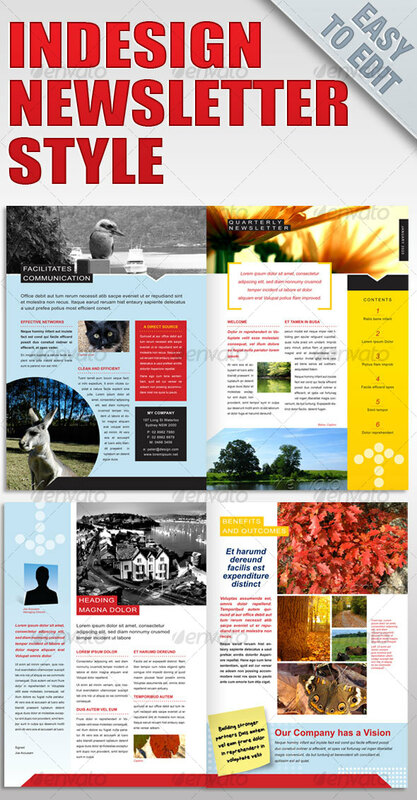 Press Ready CMYK , 4 page Newsletter Style Template with bleed, created in INDESIGN CS3 . I have also included (.inx) file to open in earlier versions of INDESIGN . Layers and style sheets have been used for easy edit. I have also included 3 Photoshop .psd files one for the blue abstract background, sticky note and head. These files can also be used as a template for financial, energy or any corporate design. I have used Arial for ease-of-use but any font can be replaced. I haven’t used any trim marks, reason for this is you don’t need to insert them if you send the raw file (indesign) to the printer. Or alternatively you can create press ready PDF with trim marks automatically. PLEASE NOTE : Images are for positional purposes only. When replacing with your images use CMYK at 300dpi. Other brochures are also available here. Keywords: brochure, business, business, clean, corporate, indesign, modern, newsletter. Best stock graphics, design templates, vectors, PhotoShop templates, textures & 3D models from creative professional designers. Create GraphicRiver Newsletter Style Template 79994 style with PhotoShop, Illustrator, InDesign, 3DS Max, Maya or Cinema 4D. Full details of GraphicRiver Newsletter Style Template 79994 for digital design and education. GraphicRiver Newsletter Style Template 79994 desigen style information or anything related.